Our business is to help you organize your inventories, document and, goods by providing shelf, rack for keeping your equipment. It can be used in your factory, store or for showing your merchandise. 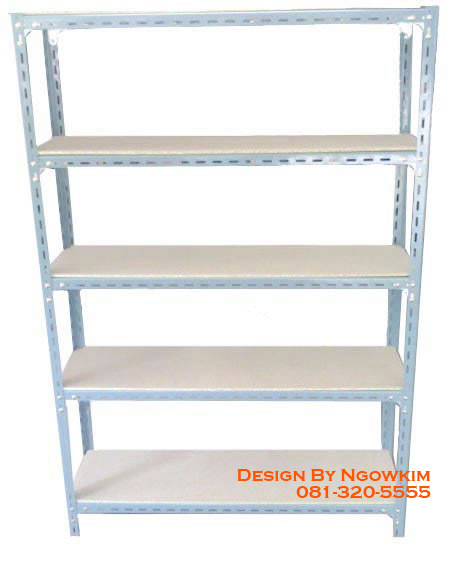 The shelf comes in any size and pattern and standard steel is chosen to ensure your confidence in safety. Moreover we have service to install our product up to your intention, free of charge. Chaiyapong "Your satisfaction is our priority." ประกาศเมื่อ : 07 พ.ย. 54 14:20 น.